This paper provides a comprehensive summary of current tests and treatments available for Birdshot Uveitis. It clearly makes the important point that, although central visual acuity can be preserved until late in the disease, it is not uncommon for patients to receive inadequate immunosuppressive treatment, leading to a poor long-term outcome in which peripheral retinal damage eventually leads to visual deterioration. This paper certainly gives BUS hope. It is gratifying that it clearly endorses our belief about the best way forward, just at the point when we are getting collaborative work off the ground with the National Birdshot Research Network; and the development of the Birdshot bio-resource centre and Birdshot database. BUS is delighted to announce that two exciting research projects are about to commence. 2) the development of a National Birdshot Uveitis Registry. These two projects are coming to fruition thanks to the hard work of Birdshot Uveitis Society supporters who have helped raise the money and also thanks to the imagination, ingenuity and resourcefulness of clinicians and research scientists who are involved in the National Birdshot Research Network. The Bio-resource Centre project is being jointly funded by BUS and Fight for Sight, the main UK charity dedicated to funding eye research to prevent sight loss and treat eye disease, via a jointly funded Small Grant Award of £15,000. 50% of the costs has been raised by Birdshotters who took part in the 2012 Carrots Nightwalk, a six and 15 mile charity walk, with matched funding from Fight for Sight. The development costs of the National Birdshot Uveitis registry is being funded by BUS with money our supporters have donated over the last year and donations from the BUS 2013 Shoot which is our major fundraiser. This award will be administered by Fight for Sight. Thank you so much to everyone for your time and generous support. We wouldn’t have got this far without it! This research proposal is one you may have previously seen mentioned here: establishing in the UK the world’s first birdshot uveitis biobank. Biobanks collect and store donations of anonymised patient samples of blood, urine and other tissues. Approved researchers can then use these materials, feeding back their research data to the biobank. This adds to the original information held about the samples, which increases their usefulness to future researchers. Rather than set up an independent birdshot biobank, it makes economic sense to use an existing biobank. The established Infectious Diseases Biobank at King’s College Hospital, London, has expanded to include collections of samples from patients with inflammatory conditions. This means that the Birmingham-based researchers’ proposal to set up the birdshot biobank within the biobank at King’s College Hospital fits in well with King’s existing work. The project will start by recruiting a small number of birdshot patients from St Thomas’ Hospital, London, Moorfields Eye Hospital, London, and the Birmingham and Midlands Eye Centre, to donate samples to the biobank. Clinical data from the National Birdshot Uveitis Registry (see below) would accompany the biobank samples. The combined resources of the National Birdshot Uveitis Registry and the National Birdshot Biobank would enable a great variety of statistically-valid and useful studies to be performed on large numbers of birdshot patient samples. It is hoped that the birdshot biobank will eventually provide the opportunity for all UK birdshotters to contribute to research by donating their samples. Our involvement will provide the keys to help researchers start to unlock some of the mysteries of birdshot and to improve its treatment. To be statistically significant, medical studies need to be done on large numbers of patients. 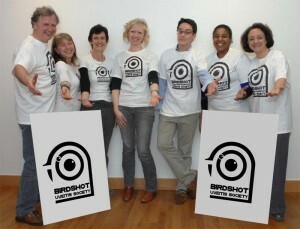 Because birdshot is a rare disease, it has been difficult up to now to recruit enough patients to do useful research. Although large studies of up to 80 birdshot patients have been carried out in several European centres, similar scale studies have not been conducted in the UK, principally because birdshot patient information is not held in one place. Creating a national registry database of UK birdshot patients would provide a resource of information on birdshot which would have many potential uses. The proposed National Birdshot Uveitis Registry (NBUR) will collect and hold clinical data on birdshot patients centrally, including test results such as angiograms and OCT scan images. From the initial pilot study involving data from a few patients at University Hospitals Birmingham and the Birmingham and Midland Eye Centre, the eventual aim is for all UK birdshot patients to be invited to register with the NBUR. The first step in the proposed study will be to develop a patient details database at University Hospitals Birmingham, test it and perform some data analysis. The database will then be tried out with data from a small number of Birmingham birdshot patients, then modified as necessary, and then piloted at National Birdshot Research Network partner sites in the UK. One use of the registry data will be to accompany the samples sent to the UK birdshot research biobank (see above). Other proposed uses for the data include identifying patients suitable for clinical trials, collecting drug safety data, especially for newer treatments, and eventually being able to identify ‘best practice’ and promote better care by enabling treatment centres to compare the progress of their patients within the context of a national picture. University Hospitals Birmingham already develops and operates national databases through their established Rare Disease Service, so this experience will be invaluable in setting up the National Birdshot Uveitis Registry. Earlier this year, Birdshot Uveitis Society took part in the Sight Loss and Vision Priority Setting Partnership which uniquely captured the views of patients, relatives, carers and eye health professionals to identify what research into sight loss and eye conditions should be addressing. It is rare that those with direct experience of conditions are able to influence the research agenda and we at BUS were delighted to participate. Taking part in something like this is so important in helping to get a rare condition like Birdshot Uveitis better recognised. It has really helped to get us on the map in terms of getting research done. It is easy to forget that until very recently Birdshot Uveitis was considered incredibly rare affecting very few people. By raising the profile and forming a network we are getting a better idea of the true picture. If anyone wants a hard copy of the report sent to them they can get in touch with us or Fight for Sight to get their own copy. The section you will probably want to look at is the ocular Inflammatory eye disease section( Page 31). Many Thanks to our members who helped participate in this process. A PDF of the report is attached here. A recent paper (1) confirmed the previous finding (2) of the involvement of the T helper 17 (th17) cells in birdshot. Th17 cells are associated with autoimmune diseases and are also involved in diseases such as ankylosing spondylitis and behcet disease (also associated with uveitis). Factor β1 in HLA-A29-Associated Birdshot Retinochoroidopathy. Am J Ophthalmol. 2013 Apr 23. doi:pii: S0002-9394(13)00168-2. 10.1016/j.ajo.2013.03.004. The research suggest the importance of systemic therapy and offer new insights into the potential of targeted treatments for Birdshot Uveitis. 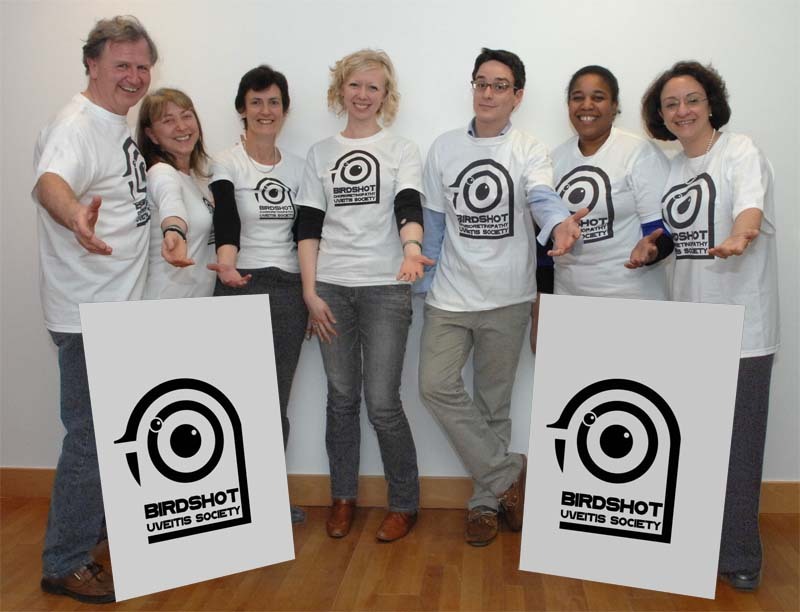 We are delighted to announce the publication of a paper about the 1st Birdshot Day which, as you will see from the list of authors, involved many of us. It was published by the British Journal of Ophthalmology (on-line), on the 7th March 2013 .